AIGA Portland is currently showing an exhibition of letters inspired by graffiti as part of Design Week Portland. 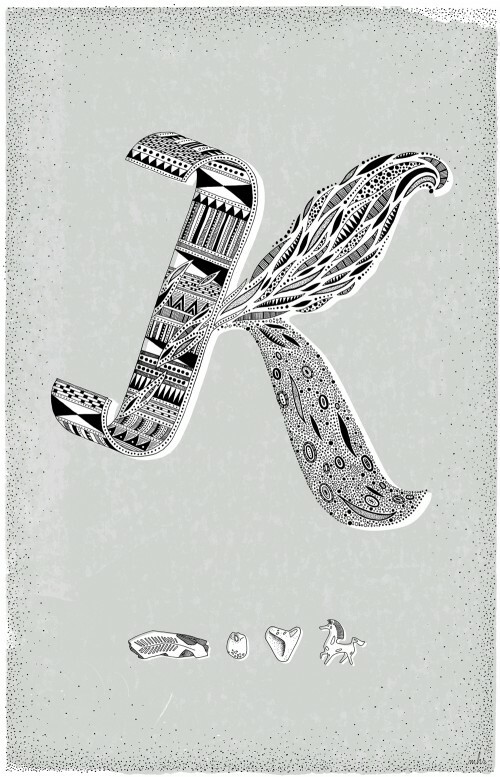 The 26 letters of the alphabet, each interpreted by a different artist, are on display at Ziba HQ in Portland, Oregon, and my letter K is among them. The show is in conjunction with the premiere of GRAFT by director Jared Levy. 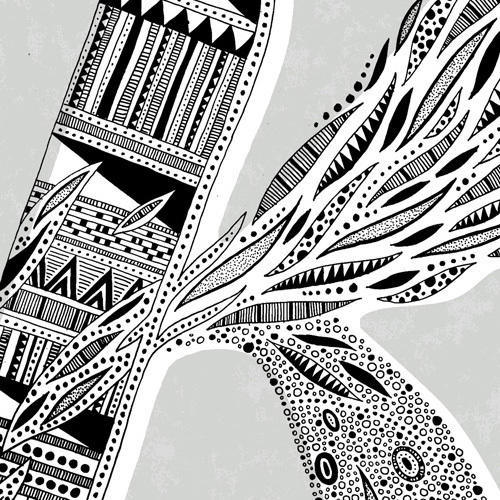 I’ve recently been drawing things with a tribal and mitochondrial patterns in them. The style felt appropriate to the theme – interpreted as a sort of original graffiti, a mish mash of elemental inspiration. I also signed off my letter with my personal tag in hieroglyphics: a fossilized leaf from Oregon, a rock with a hole in it found on a Danish beach, a heart shaped rock my mom found and gave me, and a figurine of the Black Stallion. Little personal hieroglyphics - three rocks and a horse. Drawing patterns in things has become a sort of relaxing meditation time for me – once the basic form and complexity is decided, it’s pure patience and several CDs of Kurt Vile / Carla Bruni / Wilco to reach the end result. 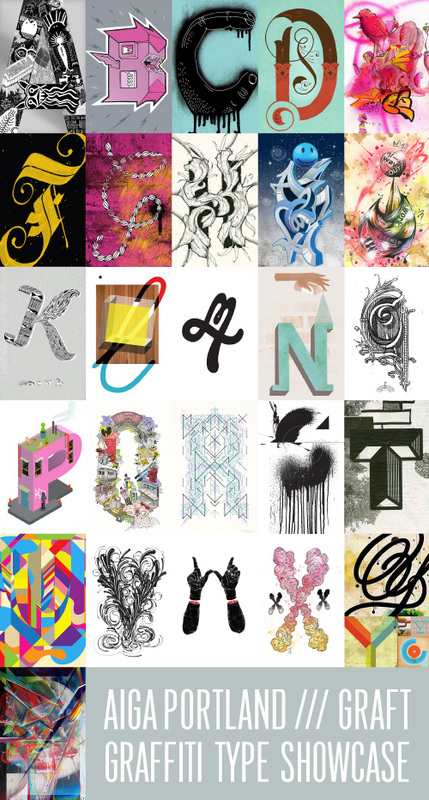 A Flickr set of the entire alphabet can be seen here of the below participating artists.